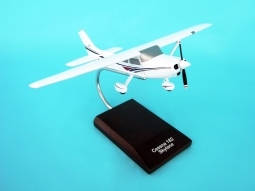 The Cessna 170 is an all metal light plane that has won wide acceptance among Americas private plane flyers. 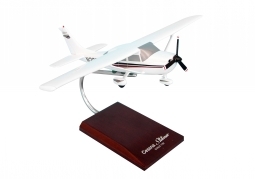 Sleek and sturdy, the 170, is a real workhorse of the air, fully powered to handle a full complement of passengers and baggage. 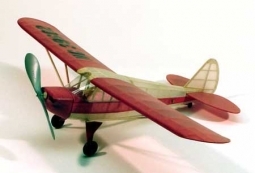 This balsa wood kit scale model has the kind of realism appreciated by all model fans plus the ease of assembly and inherent flight stability.